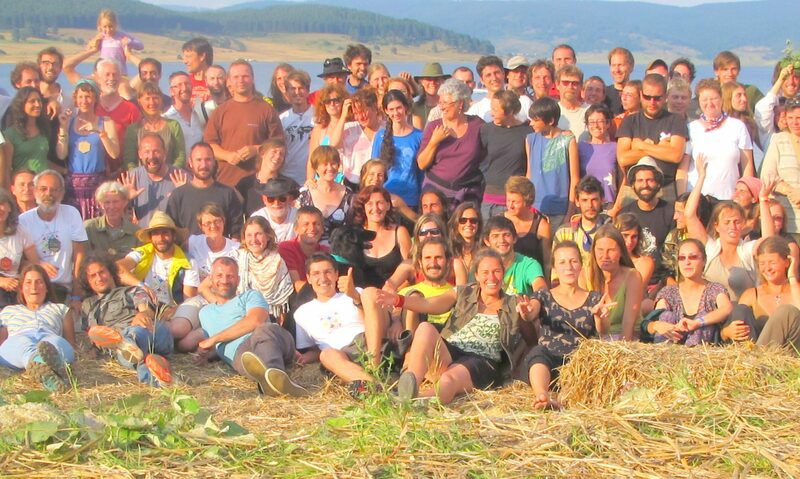 The Permaculture College of Europe was officially launched at EUPC12 in Batak, Bulgaria July 2014. It was one specific very practical and immediate outcome of the series of EPT Conferences formulated by Leo Bakx and Steve Hart with considerable support from Martin Giannini, Dr Peter Sherwood-Roberts and Dr. Martina Petru. The challenge now is to build on this outcome to evolve it into a very worthwhile and supportive energy right across Europe. The website has evolved and much brainstorming on policy process and programmes is highly active. We invite all members of the entire European Permaculture community to come on this great journey with us. The energy will be mutual as will the outcomes and opportunities. Please do read through all links of the website and offer your comment. http://permaculturecollege.eu/ It is an evolving tool as nature is teaching us. We will be driving this vehicle for all to be satisfied. One field we are exploring is the development of Permaculture regional and bioregional networks throughout Europe. We invite discussion on this. One view is in developing the values of cultural bioregions. We recognise the existing political boundaries do not fit into any Permaculture box, and why should they? The Nordic bioregion has already a very active network. The Balkans is evolving, what others are there? Slavic? Germanic? British? French? Italian? Spanish/Portuguese? Turkish? They all have their own character and offer so much into the diversity of what we seek in vibrant character and variation. As a tangent to this we have recognised an opportunity to host a number of different courses through these bioregions through August and possibly September next year, 2015. This is as lead up to the IPC12 in London. This will be an international event attracting many of the best qualified teachers in the world. The invitation will be going out to them to offer their expertise to lead courses. So, if you are specifically interested in supporting this initiative come on board and be part of the value this offers. The arguments will obviously be many for and against, such an initiative. But it is in our opinion the positives will far outweigh the negatives. And, as we know that Permaculture teaches us to turn the negatives into positives making solutions not problems. Robyn Francis, recognised as one of the foremost and leading teachers in the world today has already confirmed with opportunities for her courses to be centred in Romania. This could be a Balkan event. Albert Bates, one of the founders of “The Farm” and known by many for a wide range of topics is also keen. He has strong links in the eastern Nordic countries so maybe this region will again benefit from his valuable input. Also in this August 2015 programme Leo Bakx is working on programmes with universities in Eindhoven for a very stimulating academic and corporate view on Permaculture. Best regards, Steve Hart – for PCofE (steve@permaculturecollege.eu).